Two law enforcement sources familiar with the investigation confirmed to NBC News the suspect's name is 24-year-old Mark Anthony Conditt. 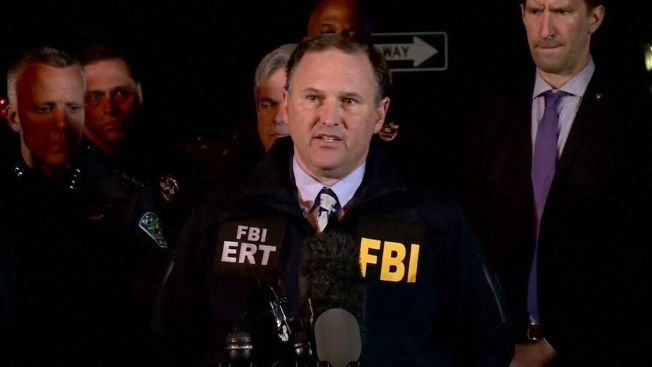 Authorities had zeroed in on Conditt in the last 24 to 36 hours and located him at a hotel on Interstate 35 in the suburb of Round Rock, Austin Police Chief Brian Manley said at a news conference. They were waiting for ballistic vehicles to arrive when his vehicle began to drive away, Manley said. Authorities followed the vehicle, which stopped in a ditch on the side of the road, the police chief said. When members of the SWAT team approached, Conditt detonated an explosive device inside the vehicle, the police chief said. The blast knocked back one officer, while a second officer fired his weapon, Manley said. Conditt, who suffered significant injuries from the blast, was killed. Authorities said it was too soon to say if Conditt worked alone. They also said they don't know his motive. "AUSTIN BOMBING SUSPECT IS DEAD. Great job by law enforcement and all concerned!" President Donald Trump soon after a police news conference. Chief Manley also tweeted, "I can't thank the men and women of #AustinPD or our Federal partners enough for their tireless work in restoring peace to our community." 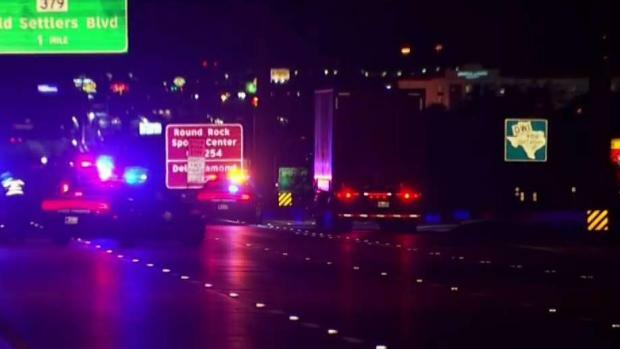 On Tuesday, a bomb inside a package exploded around 1 a.m. as it passed along a conveyer belt at a FedEx shipping center in Schertz, northeast of San Antonio and about 60 miles southwest of Austin. One worker reported ringing in her ears and was treated at the scene. The Schertz blast came two days after a bombing wounded two men Sunday night in a quiet Austin neighborhood about 3 miles from the FedEx store. It was triggered by a nearly invisible tripwire, suggesting a "higher level of sophistication" than agents saw in three package bombs previously left on doorsteps, according to Fred Milanowski, the agent in charge of the Houston division of the U.S. Bureau of Alcohol, Tobacco, Firearms and Explosives. Authorities have not identified the two men who were hurt Sunday, saying only that they are in their 20s.